The hotel was very basic.. it has a small full kitchen. The murals painted on everything was gorgeous. The manager was amazing. We had a hang up and wasnt going to make 10pm check in. She waited up for us and gave us the closest room so i could get the kids in bed. Excellent for pets. Right next to beach. Offers free clamming and crabbing gear. Cute functional kitchenette. They let us look at the room before checking in and let us cancel with no penalty. The kitchen was well stocked. The towels in the bathroom all matched. All the bedding matched. The property managers were very friendly and attentive. The fully-stocked kitchen was great. 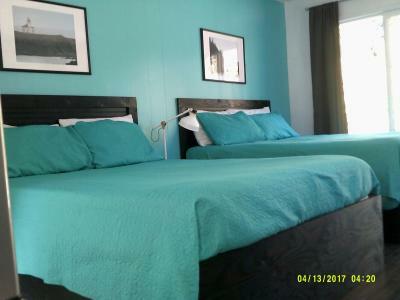 I liked the room color theme and overall it was comfortable. As a bonus, it was right across the road from a great birdwatching spot. Everythings always amazing. This is our go to place to stay in coos bay. Great staff in the office, very comfortable beds, condo was peaceful and quiet just what we wanted for our getaway!! The house was spacious and the art work/paintings around the whole compound are unique. It was comfortable and the owners went out of their way to welcome you and offer ant assistance. It’s different and funky and wonderful. No waiting to check in......Office was closed as soon as I stepped to my car.... 7:55 pm No one was available to answer questions.... No phone in the room. Special request was not honored... requested room to accommodate HANDICAPPED guest! Disappointed! 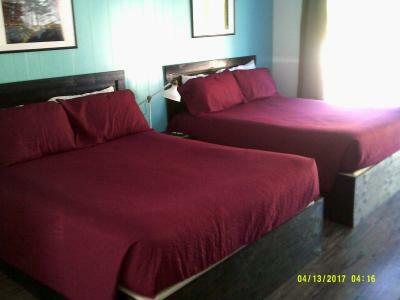 Plainview Motel This rating is a reflection of how the property compares to the industry standard when it comes to price, facilities and services available. It's based on a self-evaluation by the property. Use this rating to help choose your stay! 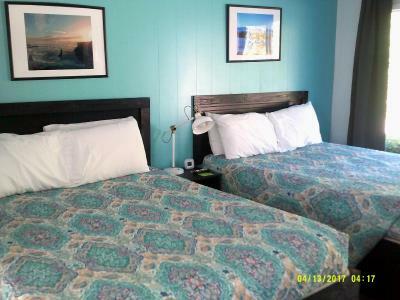 Just a 1-minute walk across the street from the Pacific Ocean, Plainview Motel is located in Coos Bay, Oregon. Crabbing and clamming gear are available for guests, and guided clamming tours are provided by the staff of the motel. Each accommodations here provides guests with a kitchen or kitchenette, a cable flat-screen, and a seating area. Free WiFi access is available throughout the property. Shore Acres' Botanical Gardens is 12 minutes’ drive away, and seals or sealion watching can be enjoyed at Simpson Reef, just 15 minutes’ drive from the motel. Bandon Dunes Golf Resort is 21 mi away. When would you like to stay at Plainview Motel? This holiday home has a private entrance, oven and seating area. This holiday home features a oven, seating area and private entrance. This one-bedroom holiday home features a fully equipped kitchen, a seating area with a sofa bed, a flat-screen TV, and a private bathroom. 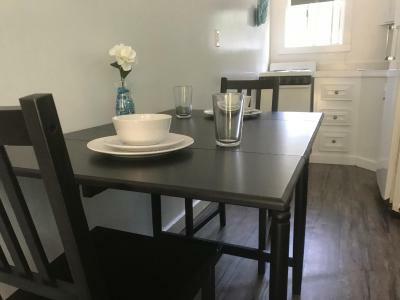 This double room features a kitchenware, microwave and private entrance. Please note that children under the age of 6 are not allowed in this room type. This apartment has a seating area, tumble dryer and kitchenware. This double room has a flat-screen TV, seating area and kitchenware. House Rules Plainview Motel takes special requests – add in the next step! Plainview Motel accepts these cards and reserves the right to temporarily hold an amount prior to arrival. Guests traveling with pets are requested to contact the property prior to arrival. Please note that pet-friendly rooms are limited and subject to availability. Please inform Plainview Motel of your expected arrival time in advance. You can use the Special Requests box when booking, or contact the property directly using the contact details in your confirmation. I always look at the motel web site before I book on booking cause I know booking don't always have all the info. Well the wed site said the room we got had a bbqer, a spa tub, and a washer and dryer. Well it didn't have any of it. Would have looked for a smaller place of I would have known that . The refrigerator hadn’t been cleaned or checked in a while. It was filthy. The freezer door was also broken and just propped in there. Roxie at the front desk was very helpful and extremely friendly! The room looked really nice. Internet wasn't working in the room. Well it surrounded by a filthy dirty rv park. Out your kitchen window is discusting. Teenage kids running all over from the people managing it. They said they had coffee in the game room. Starting at 5:30am. Nope. None. Nor did they offer to make any. It was a kitchenette with NO kitchen towels no sponges/ dish cloths. No counters in the bathroom. So small can barley move around. No atmosphere. Did the roon work yes. Would i stayvthere again. Absolutely not. To Dirty around there. For 85$ a nite. The only reason we stayed was from the pictures it looked cute, NOT! AND they had and supplied crabbing /clamming gear. Woukd not recommend. They offered clamming/crabbing gear, buckets shovels ect. Thats it. When your receipt states in three places NO Refunds!!! I should have cut my loses and left. We booked for 2 nights and left after the first night. The automatic air freshener dispenser made the room smell so bad it was overwhelming. Wi-Fi connection extremely poor. To use the coffee pot you had to unplug the microwave. The refrigerator froze everything solid. Recently remodeled must have only referred to the murals painted on the exterior of the building. The bathroom could use some updating and new hardware/molding. Not as advertised Not handicapped accessible No beach or water view No “1 minute walk to water” No phone in room... couldn’t contact manager. Very disappointed! everything about their site was not true. Owner said the website was all about their condo's on the beach. this was very disappointing and totally false about this motel. Ad said 1 minute walk to PACIFIC OCEAN, Beach, Beachfront or Entertaining staff .. No way! Office closed immediately after we checked in. Couldn’t find snack machine, lounge or picnic area.... Outdoor furniture was one plastic chair as you stepped up into room.